Playing defense in basketball is an interesting skill. It is interesting because it requires not only technical skills, but it also requires a passion and desire to compete at a high level. Basketball players that want to be great on the defensive end must buy into the mindset of being a great defender. This basketball article is going to provide keys for playing defense in basketball and will focus on what it takes to be an elite-level defender. So whether you are a player on your own looking to improve your defense, or a coach looking to develop a player, these defensive keys are going to give you the template that you need to work on your defense in basketball. Communication is a skill that any player can be good at because it only takes deciding to do it. The best defensive teams are filled with players that are all working together to get the job done. This only happens though if each player is communicating their responsibility and their teammates can trust them to be where they need to be. On defense, there are a lot of moving parts, so the better you can communicate what you are doing, the easier it will be for your teammates. Your communication will let your teammates know what they need to be doing in any given defensive situation. Communicate things that will help teammates out. Don't just talk to talk because the coach says something about talking on defense. Communicate loudly and clearly so that your teammates don't have any doubt of what you are saying. Loud and effective communication also demoralizes the other team's offense. A big part of defense is positioning. The better you can position yourself before the offense executes an action, the better you will be able to guard it. Whether it is being in the help, gap, etc., you need to know where you are supposed to be at all times and then make sure that you are there. This may change depending on the defensive scheme as well. So make sure that you know exactly what defense the team is in and what you should be doing in every situation. Don't let yourself get caught out of position and playing catch up to the offense. Having five players that are in the correct defensive position forces the offense to take a tough shot, and will eventually cause them to be discouraged on the offensive end. As a basketball player in general, you want to do your best to always be in an athletic stance. If you are standing straight up and down, before you make any athletic move, you are going to have to load and then go. This makes you that much slower. If you are already in an athletic stance, it is going to allow you to be explosive and go right away. As a defender, it is essential that you are holding yourself accountable to be in an athletic stance on the ball and off the ball. An athletic stance allows you to quickly move to where you need to be as the ball moves. There is an exception to staying low, and that is when you are guarding in the post, and the offensive player is trying to finish over you. In this situation, you are going to want to keep a wide base with your feet, but make sure that you are walling up the offensive player and making them finish over high hands. This defensive key is going to be essential to anyone that wants to be an excellent defender. The more you can read the defense and then anticipate what they are going to do, the easier it will be for you to be in the right positioning to play defense. This doesn't mean gambling and getting out of control, but it does mean recognizing what the offense is about to do, and then getting prepared and set for it. This goes back to being in the right position as well. The sooner you can recognize what the offense is trying to do, the easier it will be for you to get in the right positioning. Read what the offense is trying to do, and then be in a position to take it away. Different players have different skill sets. So it is vital that you know what a player likes to do best and also what they struggle with. If you know this, then you can take away what they like to do best and force them into something that they aren't as comfortable with. For example, if you are guarding a shooter, you would want to close them out tight and make them dribble the basketball. If you are defending a driver, you would want to close them out short and then force them to shoot a contested shot. You can only do this though if you know the player that you are guarding and what they like to do. Also, your scouting report may need adjusting midgame. You may see something that your man/woman is doing, and you may need to adjust. A scouting report shouldn't be written in stone. Once you figure out these answers, you can start forcing the offensive player into shots and positions where they are not comfortable, which leads to low percentage shots, turnovers, etc. Something that you are always in control of no matter how skilled you are or how well you are playing is your energy and effort. This means that there is never a good excuse for why you shouldn't be giving your best effort and bringing energy on the defensive end. Regardless of how well you are playing on offense or how the game is going, you should be giving your best effort on defense. This doesn't mean though that you are out of control and running around like a chicken with no head. Be disciplined in what you are doing, but also give your best effort. Don't be afraid to do the dirty work. Whatever you can do to help your team win. This was mentioned in the previous point, but it is worth a point all on its own as well. As a defensive player, it is crucial that you are staying disciplined in the way that you are guarding. And, you must not only be disciplined in the way that you are guarding your man/woman, but also within the team's defensive scheme. It may be tempting to reach, gamble, etc., but if that is not your team's defensive strategy, you must be disciplined enough to hold back. If you stay committed to the details of playing high-level defense, you will be able to get deflections, steals, and force the offense into bad shots, and all without having to gamble and put your team in a difficult situation. Don't gamble outside of team strategy and get caught out of position. Don't commit silly fouls that hurt yourself and put the other team in the bonus. Have active hands both on and off the ball. Take great angles both on and off the ball. One of the toughest things for a defense to do is play solid defense for a whole possession only to give up an offensive rebound for a putback, or then have to guard again for another possession. This means that as a defender, you need to do your best to help finish defensive possessions. 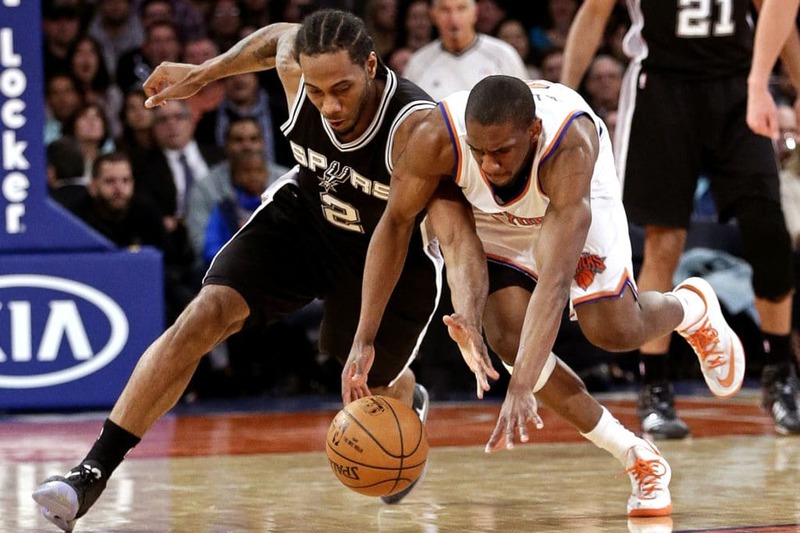 You must be willing to box out and finish the play on the boards, get on the floor for a loose ball, take a charge, etc. The better you can close out possessions on the defensive end, the more value you will add to your team. If you want to become a better defender, or as a coach, working with a player on becoming a better defender, you must be willing to put in the time. These basketball drills are all going to focus on different defensive areas. So along with taking advantage of all of the defensive teaching points, make sure that you take advantage of these defensive basketball drills as well. This defensive drill is going to work on the technique of the defensive slide. It will allow a player to work on staying low, not crossing their feet over, etc. The more a player can master this basic defensive movement, the easier it will be for them to guard the ball and make other explosive movements. Drill Goal: Work on staying low in a defensive stance and being able to change directions laterally both quickly and efficiently. When doing this drill, really lock in on the correct footwork and make sure that you stay low in an athletic stance the whole time. Focus on not clicking your heals together, crossing your feet over, or letting your weight be unbalanced. Work on being able to drive off of each leg and change directions as quickly as you can each time. This is a great drill to keep track of how long it takes you to complete and then try to beat it the next time. Must practice good footwork, etc. Start by placing a row of cones on one side of the lane line and then have the player line up inside the cones. The player will begin in a defensive/athletic stance. To complete the drill, the player must take each cone, one at a time, across the lane line using a defensive slide. Once all of the cones have been set down in a line on the opposite lane line, the drill is complete. As soon as the last cone is placed down, the drill is over. This drill is going to work on being able to close out under control, a defensive slide, and then also being able to finish the play by going to track down the rebound. These skills are all essential in playing defense and being able to get a stop. In the video, this drill has the player treating the rebound like an offensive board so that they can also work on finishing, but you can also set it up like a defensive board and have the player secure the ball and then outlet it. Being able to close out well takes a lot of quality repetitions, and this drill will allow for that. Drill Goal: Work on closing out the ball, defensive sliding, and then tracking down the rebound. Equipment Needed: Two cones, a basketball, and a partner. Make sure that you are practicing good habits with your footwork and are being as efficient as you can be. This drill will end up hurting you more than helping you if you allow yourself to practice bad habits. Once you have the footwork down, push yourself to go as fast as you can and get out of your comfort zone. Stay low and athletic in all of the different movements that you execute during the drill. Make sure that you are practicing the drill on both sides of the floor so that you are getting an equal amount of repetitions sliding each direction. Start by placing one cone on the wing and one at the top of the key. The player will start on the block of the side that has the cone on it. The partner will start out with the basketball. When the drill starts, the player will begin by closing out the cone on the wing. They will then immediately slide to the cone at the top of the key and then turn to box out. As the player is boxing out, the partner will toss the basketball up off of the rim, and the player must release from the box out and go track down the rebound. They can either treat it as an offensive board to work on finishing and look to tip it back in or rebound and finish. Or, the drill can be set up so that it is a defensive rebound and the player must secure the board and then outlet it to the partner. When it comes to playing defense in basketball, a player is going to have to be ready to move in any direction with only a split-seconds notice. This defensive drill is going to work on moving forward, backward, and laterally. Along with teaching the player to stay low in an athletic stance the whole time, it will also allow for working on moving in every direction. Drill Goal: Work on being able to move forward, backward, and laterally on defense. As you are changing directions, really focus on staying balanced and under control. Also, make sure to be efficient with your footwork and movements. The goal should be no wasted movements. The goal is to go as fast as you can, while also making sure that you maintain the correct footwork. Don't hunch your back, cross your feet, hop, etc. This drill can be done with one player or a group of players. With a group, just have the players go one after the other. Start by setting up cones on each elbow and block. A player will start at either cone on the block, and with their back to the free throw line. When the drill starts, the player will begin to chop their feet while staying in an athletic stance. While this is happening, the coach will call out "turn," or if a player is by themselves, they can do it at their own discretion. When the coach calls "turn" though, the player must rotate their inside foot backward like they are about to turn and sprint, before quickly returning back to athletic stance and foot chops. This will happen twice more. On the third time that it is called, the player will open all the way up and begin moving forward towards the cone at the elbow where they must breakdown and closeout. Immediately after the closeout, they will defensive slide across the free throw line to the opposite elbow cone. At this elbow cone, they will immediately backpedal down to the cone on the block. For the final stretch of cones from block to block, the player will defensive slide again. This concludes one time through the drill. As mentioned earlier, a big part of playing defense is being able to finish out the defensive possession with a rebound. And, while it would be nice to have every rebound come right to you, a lot of times, the ball must be pursued and tracked down. This rebounding basketball drill is going to work precisely on that. It will allow for working on rebounding out of area and being able to pursue the ball. It will also work on going and getting the ball at its highest point and securing it with two hands. Drill Goal: Work on rebounding out of area and being aggressive to the boards. Equipment Needed: A basketball and a hoop. Get up off of the ground and be explosive on every rebound. Don't wait for the ball to come down to you, go up and get it with both hands at its highest point. Challenge yourself and work on getting as wide as you can on each board. The player is going to start with the basketball outside of the block on either side of the basket. When the drill starts, they will toss the ball up off of the backboard at an angle so that the basketball bounces over to the other side of the paint. As the ball is up in the air, they will run over to the opposite of the paint, track down the ball, jump as high as they can, and secure the ball with both hands. The player must land in an athletic stance and chin the basketball as they land. They will then immediately toss the ball up off of the backboard and repeat moving back the other way. Continue this pattern for the desired amount of repetitions. Playing defense in basketball starts with a choice. You have to decide that you are going to put in the effort, energy, and commitment to playing defense at a high level. After that, it becomes the ability to learn how to play defense the right way. It takes time to learn the correct angles, how to anticipate, commitment to details, etc. To be a great defender you have to be willing to put in the time and the work. 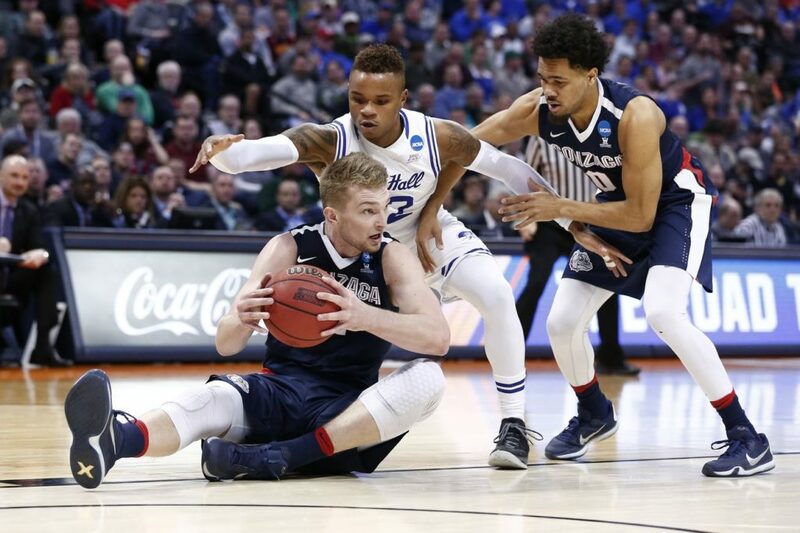 Playing defense does not always bring the recognition that it deserves either. The average fan doesn't understand how important it is to have a player communicating on every play, having active hands, and being in the right position. However, I guarantee you that your coaches and teammates do! If you want to help your team win games and even championships, playing defense is one of the best ways that you can do it. Use these eight keys to playing defense in basketball as a blueprint to what a great defender looks like and get in the gym to make yourself an elite defender.